I saw this amazing Make Your Own Necklace necklace in a post on the lovely Robyn's blog and thought that it was such a unique and clever piece. 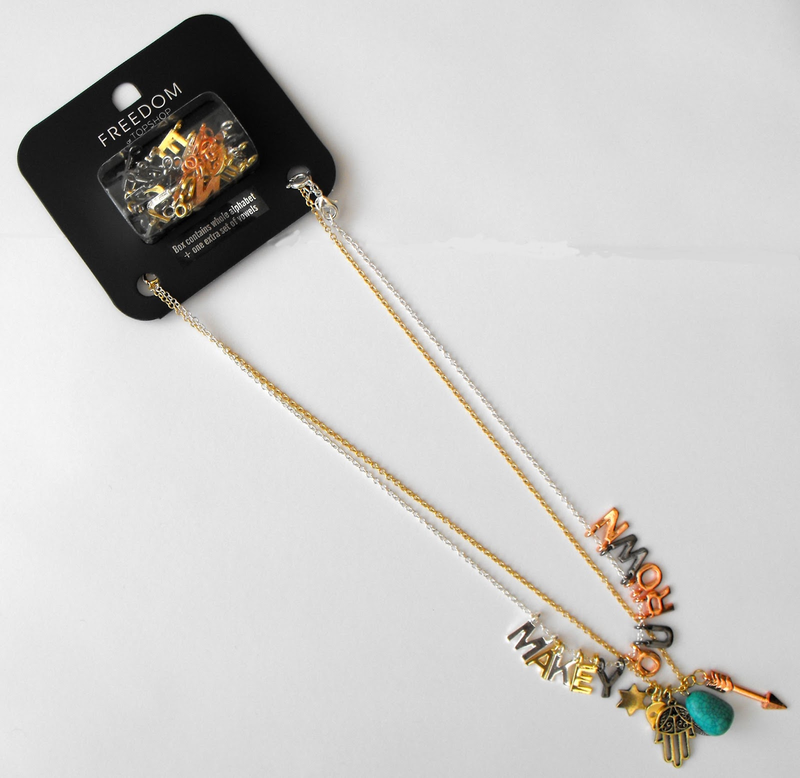 It comes in the form of two necklaces; a silver one with letters and a gold one with some lovely little charms. I absolutely love the Hamsa hand! Each chain has a detachable loop so you can attach letters to either of them. The necklace comes with a box full of letters that is supposed to have the entire alphabet and doubles of any vowels, but I actually got a few extra letters thrown in for good measure so I'm not complaining! I think that this is such a lovely, smart idea and I'm a massive fan of personalised accessories so I had to share it with you lovely readers. 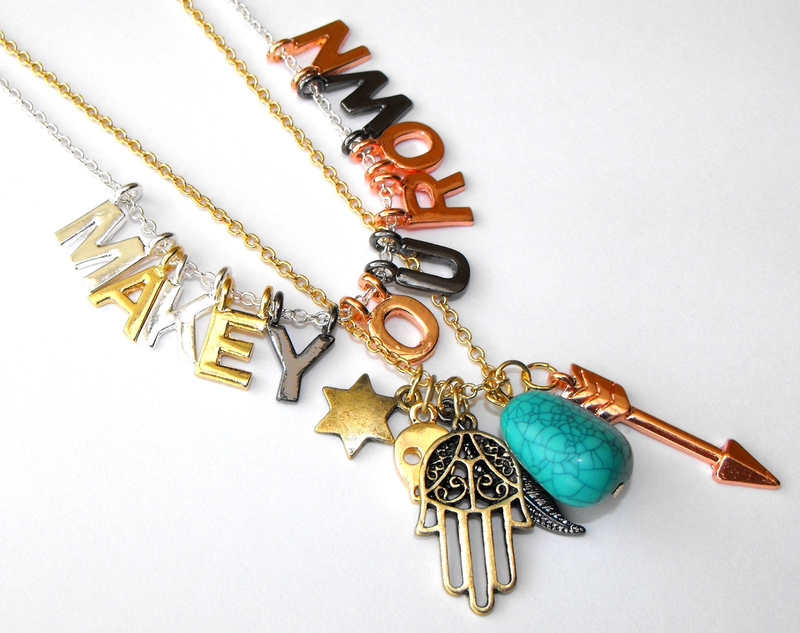 You can get your own Make Your Own Necklace on the Topshop website here. Do you have any personalised items? This is such a great idea for a necklace! I wish I'd spotted it in Topshop! I rarely buy jewellery from Topshop full price, I feel that it's not worth the their prices to be honest! Wow, that's such an awesome idea!! I have a few personalised RAWR necklaces, this would be fun to play around with. Ah, this is such a cute idea! Very adorable, and the idea is great. Thank you for sharing. That is such a cool idea! I wouldn't have expected something like this from Topshop I have to say. It's amazing though! I absolutely adore your blog, I love how much your cultural influences seem to shine through! Rags of Love - Win a pair of London Retro Specs!